We live right across the river from this building, the Bund Centre Building. I'm frequently in the neighborhood around it, and have been inside it just once, for a special birthday dinner for my friend Leslie. Except for its height, it fits in so well with the architecture of the other buildings on the Bund. I was certain it was built close to the turn of the century, like the rest of the Bund buildings, completed in the early end of the 1900's. Today I looked it up, and saw that it was indeed built close to the turn of the century-- just the wrong century! It's actually as new as most of the buildings here on my side of the river! It was completed in 2002, after five years of construction. It houses mostly commercial offices, but it also has some space devoted to the Westin hotel, with rates starting around $170 USD. 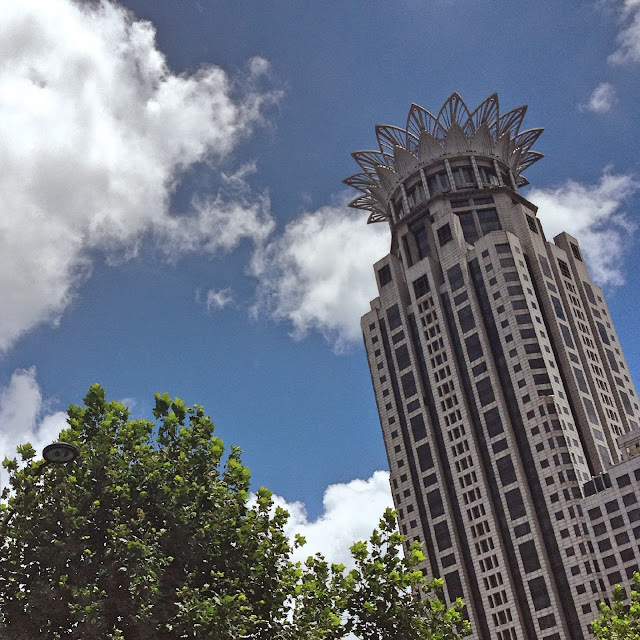 It's one of my favorite buildings in Shanghai, and today as I passed by it I couldn't help to enjoy the view of Shanghai's best summer feature: those elusive blue skies! As the sun was setting this evening, I caught a photo of it from my side of the river. 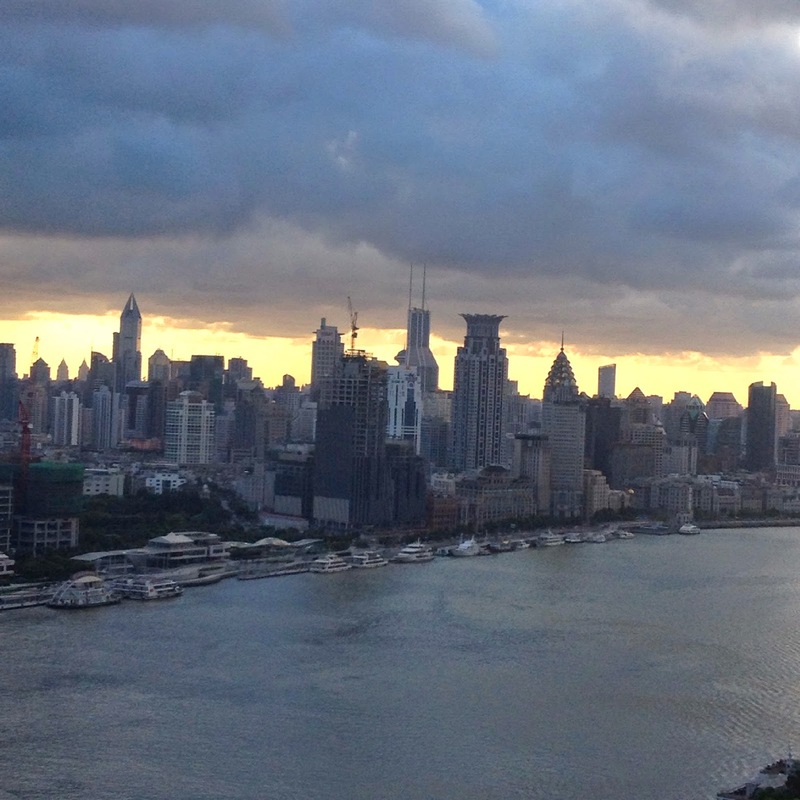 There's been some heavy tropical storms and typhoon warnings in this part of the world, bringing glorious cool winds and huge fluffy clouds to Shanghai. I always say summer is my favorite season. That's easy to say in the perpetual perfection of Southern California. But when the weather is like it currently is in Shanghai, it makes me wish summer lasted forever. Or at least wishing for every day to be just like today, too gorgeous to hold me indoors. Instead I'm laying in bed, waiting for the forecast heavy rain to start and sing me a lullaby to sleep. Tomorrow will be an indoor day for certain.